Though advising is not required at CPCC, students who advise in with someone in the CEEET department have a fat higher chance of successfully meeting their goals and completing their degrees. Even if you have already signed up for classes for Spring semester, you can benefit from advising, especially if you plan to graduate soon or transfer to UNCC any time in the next few years. 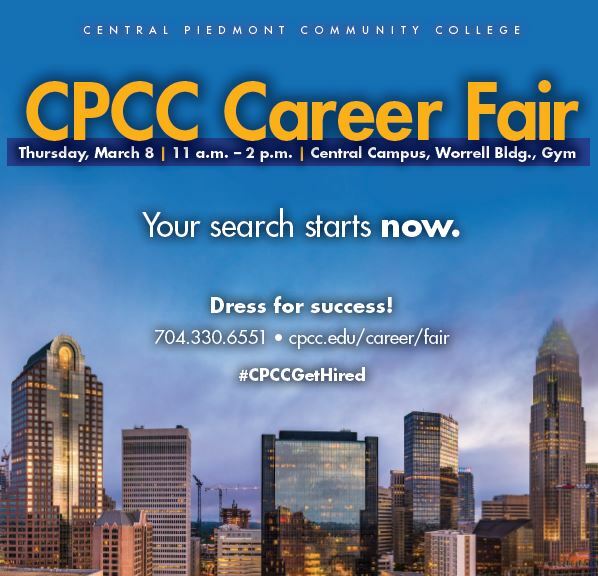 We can help you plan your entire time in our program at CPCC until your graduation date! We will be holding advising multiple advising sessions over the next two weeks. If you cannot make it to these sessions, there’s still help available as always from our Full-time staff and advisors listed on our Faculty and Staff page. Simply drop by their office hours or email to set up an appointment with them. CPCC Advising made the video in this link showing how to utilize the Student Planning tool to register for classes. You can also view Dr. Harris’s more detailed video on this topic from the April 2017 CEEET Newsletter. The deadline to apply for graduation in Spring2018 is March 1st 2018. You must apply for Graduation through mycollege (see image below). 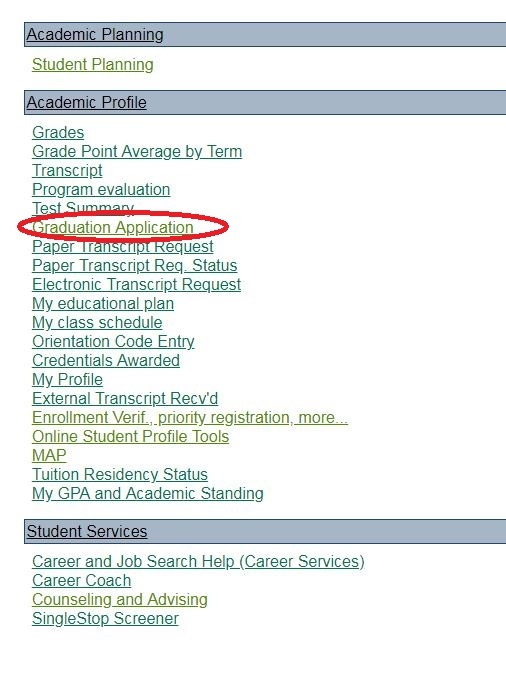 Select “Graduation Application” Then select the degree or certificate you wish to apply for. In about a month the Graduation office will send you an email with more information and you must reply to that email with the information they request. Otherwise you won’t graduate. Are you proficient in SOLID WORKS? Have you taken AutoCAD? Do you have a Mechanical or Electrical background with an understanding of Mechanical Manufacture? Be sure to Dress for Success! Not sure what to say? Practice your Elevator Speech as a part of your Career Fair preparation! Attend Job Search Prep Day. This Thursday, March 1 from 11 a.m. – 4 p.m. in room 122 Central High, we will be hosting this drop-in event where students can stop by for tips on their spring job search, their resume, and preparation for the Career Fair. With fewer than 12 weeks until graduation, students need to launch their job search now. We hope this event will get them started. If students cannot attend these drop-ins, they can always make an appointment with a career counselor by calling our offices at 704-330-6433 or e-mailing us at career.services@cpcc.edu. Advising and Registration for Fall 2018 courses. Priority registration for Fall begins April 20th. 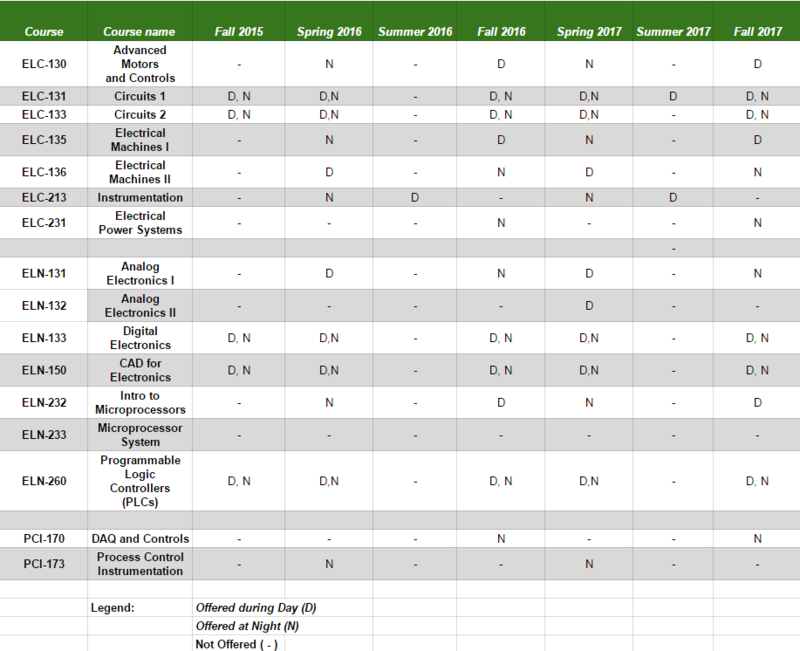 Be sure to meet with a faculty advisor in the Engineering Technology Division (NOT Central Advising) before then to plan our classes. You can see the different faculty advisors on our Faculty and Staff page. It’s that time of year again! Be sure to meet up with your faculty advisor (it is recommended that you not go to central advising or any other campus, come to only one of the advisors listed on our Faculty and Staff webpage) to plan and sign up for classes in Summer and Fall 2017. Every Tuesday the Transfer Resource Center (TRC) hosts admissions representatives from four-year colleges and universities as they visit CPCC to talk with prospective transfer students. View the full calendar of fall 2017 visits. Be sure to check out and use the new powerful advising tool called “Academic Plan” in MyCollege. The video below shows just some of the features available. Before you sign up for classes, be sure to meet with one of our faculty advisors to make sure the classes you’d like to sign up for are going to be the correct ones for your degree program. Co-Ops, Internships, and Jobs, Oh My! If you are looking for a Co-op, Internship or a job in the engineering field, we have some available. You can get credit for your degree program through Workplace Learning, and most of these opportunities are paid! 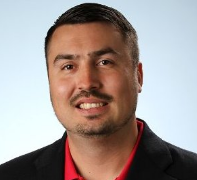 Any student that wants to know more be sure to stop by and visit Eric Easton in the Advanced Technology building (ET department). Don’t forget that we have two Lab assistants whose sole responsibility is to help students in our program. TAs are available throughout the week for help with Circuits 1, Digital Logic, as well as with Lab Report formatting, math classes up to Calc 2, and even Physics. Check out their schedules here to see when they can meet with you. It is always nice if you email them about a day ahead to make an appointment and make sure they are expecting you . The show “Shark Tank” will be coming to UNC-Charlotte to look for auditions. Check it out here. In keeping with the theme of jobs, there is a free interview skills workshop October 18th hosted by Workplace Learning. Get tips and reminders on how to prepare for an interview and present your BEST self! Thinking of Transferring to UNCC? The TRC team attended a Transfer Symposium last week at UNCC during which the Engineering Department shared with us an exciting opportunity. UNCC’s Engr Dept. is hosting an open house on Friday April 8th for students interested in pursuing Engineering or Engineering Technology degrees at UNCC. The event is from 9:30am-2:00pm on the UNCC campus. There will be an information session followed by an opportunity for students to tour facilities and labs. Visiting students will also get to meet current students and faculty within their perspective programs. Please view the attached flier for additional information and let students know they can register at the link below. Priority registration for classes starts April 22nd. You should be ready to register for classes as soon as you can to make sure you get into the sections you want. Check the priority registration dates and compare it to your total earned credit hours in your MyCollege to see when your registration date is. If you have yet to do so, please contact your Engineering Technology faculty advisor now. You can check who your academic advisor currently is in MyCollege as well. If you don’t one of the people on our faculty page as your advisor, then email one of us immediately so we can help you figure out which classes to take next semester. Sign up for classes as soon as you are allowed to. We will begin cancelling classes with low enrollment 2 weeks before the first day of the Fall 2016 semester. Don’t wait to sign up or the class might be cancelled. If you are not making at least a B in your current classes, then you should be coming to the free weekly guided study sessions we offer. We have increased the number of guided study sessions for Circuits 1, Circuits 2, and Digital Logic to have a day and night section of each. Here is the current schedule. If you are in your second year of your degree program, it is often a good time to start looking at positions that are available. You can always visit the NCworks website to search through a career field and job postings at any time to see what skills employers are looking for.